“The Adventures of Tintin” is a series of comic strips (now referred to as comic books) created by the Belgian artist George Rémi in 1929. 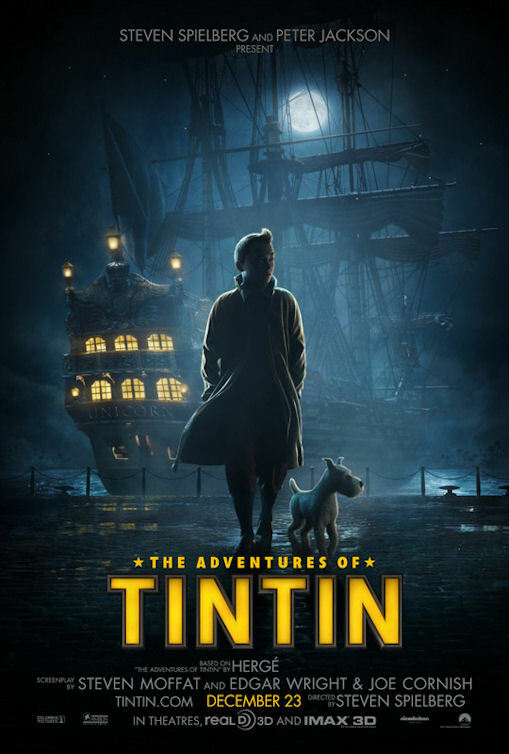 They weave a tale about an adventurous young reporter who goes on adventures that have a simple and formulaic outline where a mystery is presented and Tintin must use his wits to go about solving them logically. Rémi also infused these tales with a bit of his unique humorous perspective. Now Paramount and Sony Pictures are bringing this character to life in an upcoming motion capture 3D animated movie called “The Adventures of Tintin: Secret of the Unicorn.” The film combines three original stories to form one giant tale of adventure in which Tintin (Jamie Bell) first encounters Captain Haddock (Andy Serkis) and a clue to the location of a sunken ship called The Unicorn — which holds a bounty of treasures belonging to his ancestors. Along the way, they will encounter dangerous foes, rival reporters, a sea of criminals plus a pair of comedic investigators: Thompson and Thompson (Simon Pegg and Nick Frost). 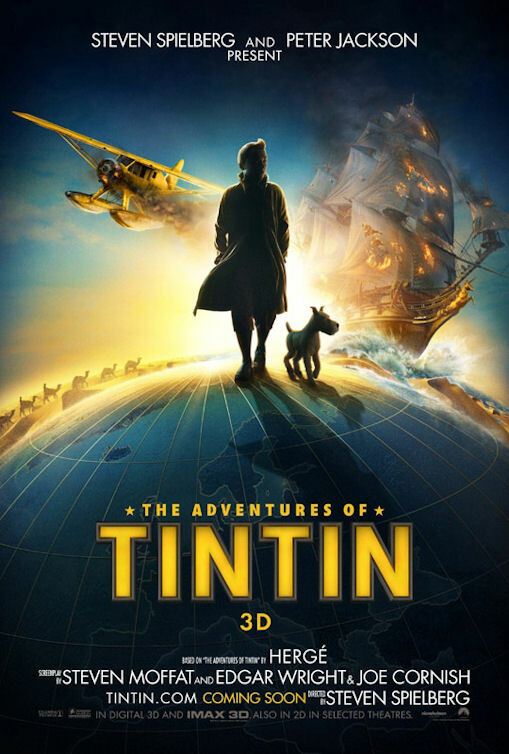 This is just the first in a planned series of films to highlight the many travels of our miniature adventurer Tintin. This film is being directed by Steven Spielberg and produced by Peter Jackson. These two names alone are enough to get me on board to see this film. They are using 3D motion capture technology, which is the use of the actual actors playing out each scene and by using multiple cameras and a series of sensors placed all over their bodies, the film-makers capture the movements and use that performance to bring each animated character to life. This is the technology used on 2009’s “Avatar” and 2007’s “Beowulf” to bring some of the most realistic performances to an animated character ever. Just today, we have the release of the very first posters to go along with the film, they are similar but each evokes a different feeling. One shows scenes from a grand adventure, while the other is reminiscent of Sherlock Holmes winding through the streets of London looking for clues. Also adding their voices talents to the film are Daniel Craig, Toby Jones, Joe Starr, Carey Elwes, Daniel Mays and Mackenzie Crook. The film is going to be released in 2D, 3D and IMAX 3D on Dec. 23. 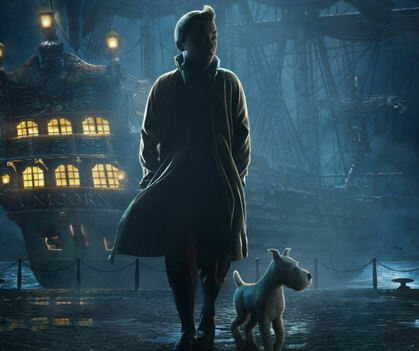 So what do you think of the first look at the adventurer Tintin? Do you see any hints in the design of the posters to show it is being directed by Spielberg or is it too early to tell? Leave a comment and let us know what you think. Wow, I have never heard of this movie or character, but Steven Spielberg and Peter Jackson are involved? It sounds like it is going to be epic. I cant wait! Look at that list of writers!